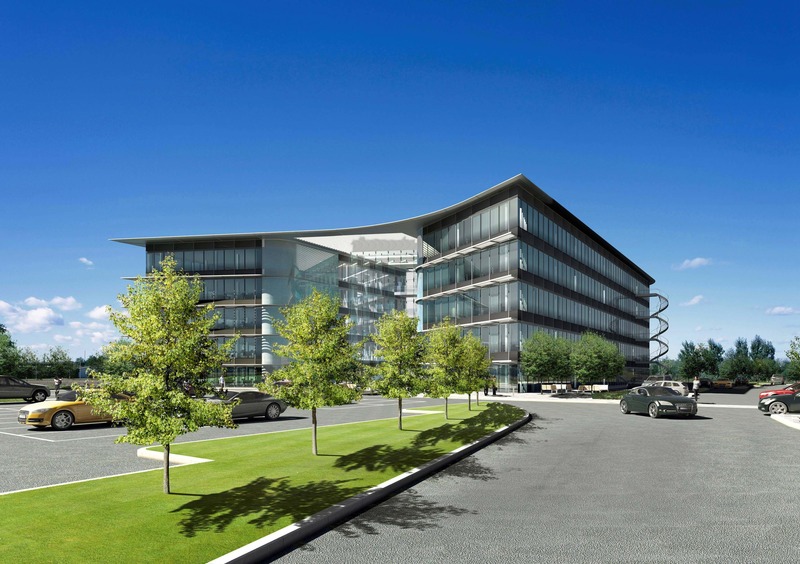 We were commissioned to design a headquarters building for a leading pharmaceutical brand. 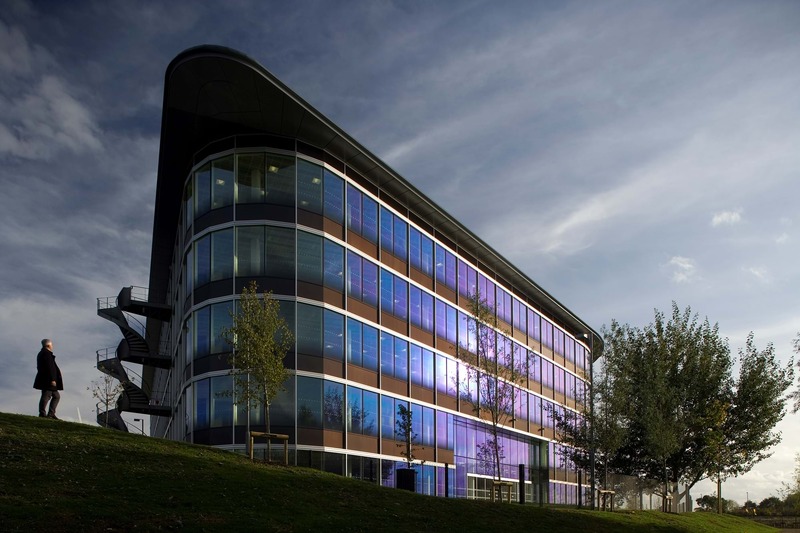 To provide the highest standards of occupier comfort, energy efficiency and environmental amenity. Future flexibility was also a key consideration. 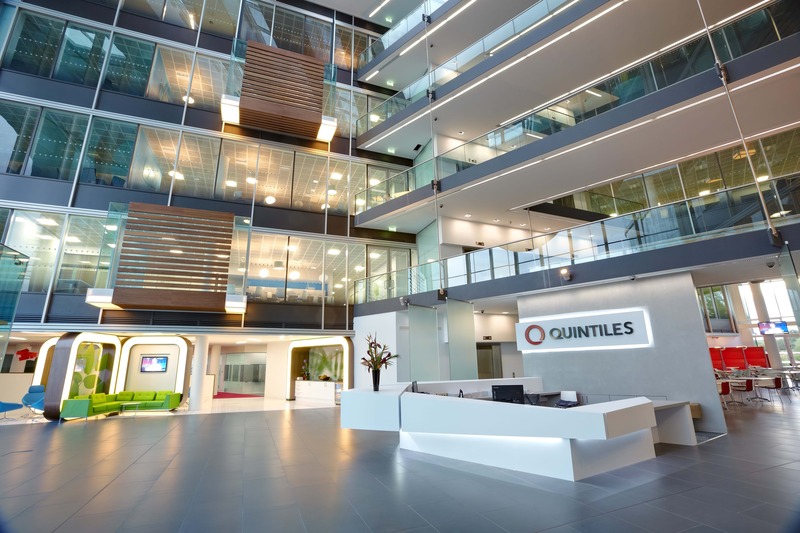 We subsequently designed the interiors for occupier Quintiles. Our bold sculpted design wraps around a full height central atrium. At ground and first floor the two parallel wings are joined by the entrance hall to a split service core. Three further floors form a ‘U’ shaped single space that wraps around the entrance hall. Cantilevered bridges connect the two wings on the upper levels. 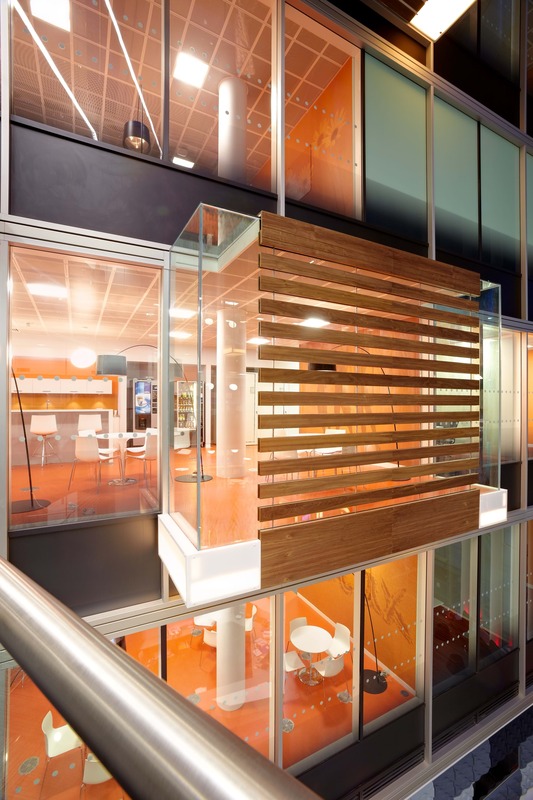 We designed the entrance as a cube, centred within the full height glazed façade, shaded by an oversailing roof and flanked by two opaque glass-clad stair towers. 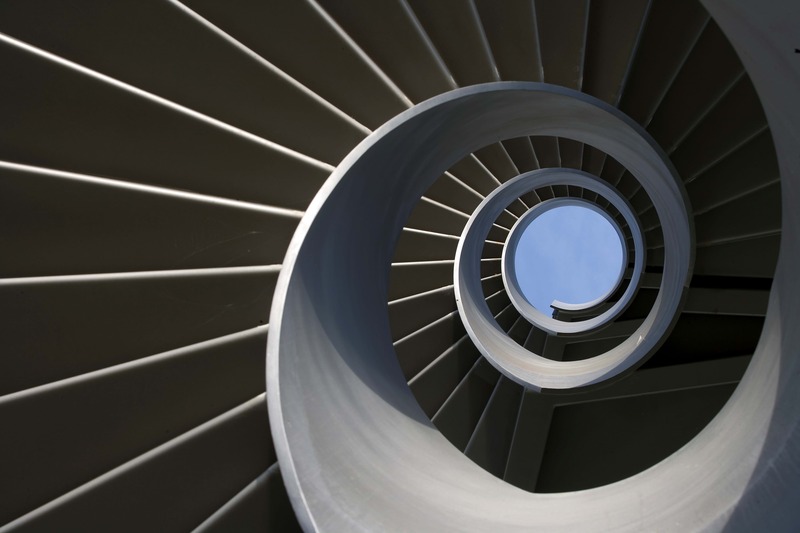 We designed two external staircases as sculptural features. 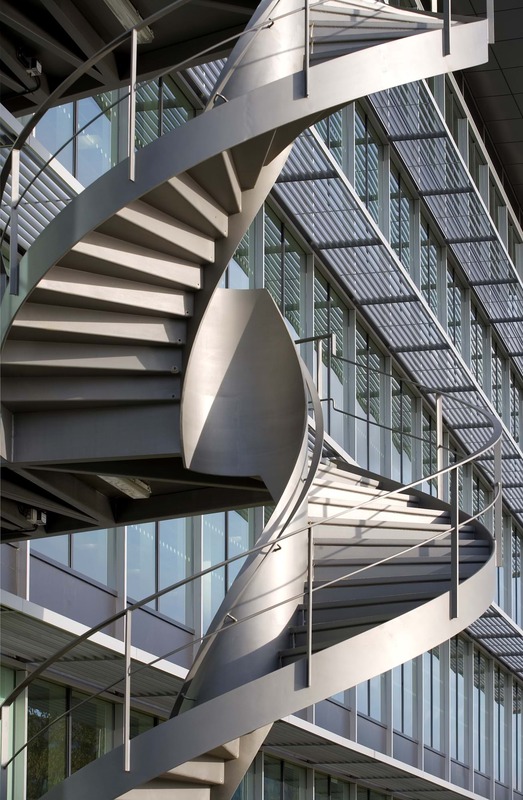 These are unique in their integral structural support and use an inner string cut from a single steel tube, which takes the form of a helix ribbon. 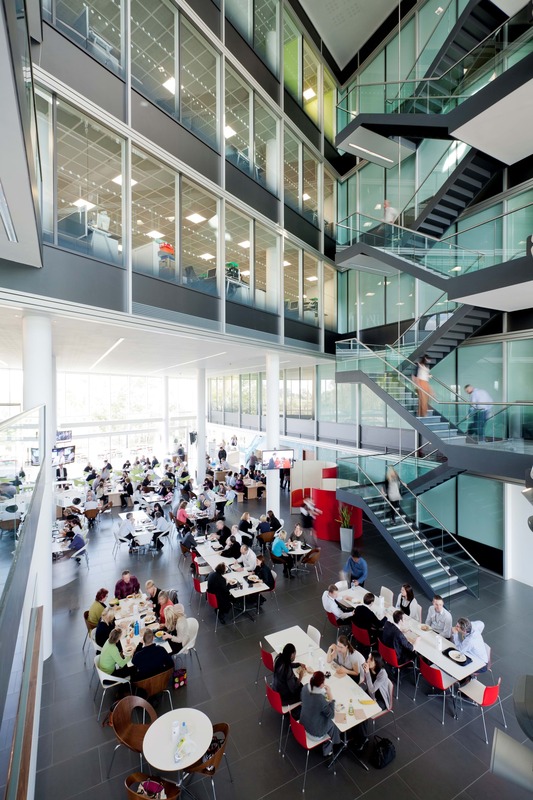 The project won the BCO Regional Fit Out of Workplace Award 2012 and the BCO Regional Commercial Workplace Award in 2010.